The 2018 Michigan football season kicks off in less than two weeks when the 14th ranked Wolverines head to South Bend. They’ll follow that preseason top 15 matchup with four more during the regular season. It’s easily one of the toughest schedules in the country which is why Michigan’s top players will need to come to play each and every week. This is an easy and obvious choice. Patterson is the x-factor for the entire season. If he plays up to the hype, Michigan will be in the Playoff picture all season long. But if he struggles or gets injured, it’ll take a shot at the team’s chances to compete for a trophy. Peters and McCaffrey are good options but Patteson offers a mix of talent, mobility and experience that the Wolverines have needed for a decade. The players, coaches, and reports have been raving about his play throughout camp and Harbaugh naming him the starter already only solidifies that. If he stays healthy, not only will he have a big year, but Michigan will win a lot of games. The monster man himself, Hudson put on a good amount of size this offseason and now looks like he’ll be able to hold up to all of the heavy collisions that come with playing viper position. And while I believe he’s set to have a national defensive player of the year-like season in 2018, it’s his health that is most important. The defense is loaded throughout but there isn’t a ton of depth behind Hudson. I wouldn’t bet against Jordan Glasgow but after that, it’s unknown. That is why it was important for that added size this offseason. After having a breakout year in 2017, look for the junior hybrid linebacker to put up even bigger numbers and be a consistent playmaker in Don Brown’s defense. Running back is another spot that has top-flight talent at the top of the depth chart but nothing but unproven talent behind it. While Chris Evans is extremely important to this team, Higdon is more of an every down back and something a Harbaugh team cannot go without. The senior running back led the team in rushing in 2017 and looks set to do it again. Ed Warriner’s rebuilt offensive line should be able to control a lot of games. Like I mentioned in my Bold Predictions, if the line plays up to the necessary standard, Hidgon will not only have a big year but he could break some Michigan rushing records. The tone setter in the defense, Bush quickly became that guy last season. He’s in the middle of that attacking Don Brown defense but is more than just a thumping linebacker. His speed, physicality and coverage skills allow him to cover both tight ends and running backs coming out of the backfield. Though there is a lot of talent behind him at the MIKE position, it’s unproven. Bush has to stay healthy and if he does, like the names above him on this list, he’s set to have a nationally recognized 2018 season and could play himself into the first round of the draft. A name some may not have expected, Kinnel is on here for both talent and depth purposes. While the safety position wasn’t the strongest part of the defense, the senior free safety actually played pretty well for a first year full-time starter. He had some missed tackles and coverage breakdowns at times but with another year in this defense and as the leader of the secondary, he’s a guy that should take a big step forward in his senior season. Add in there being unknown talent behind him in the sophomore trio of Jaylen Kelly-Powell, Brad Hawkins and J’Marick Woods, and he’s a guy that needs to stay healthy and lead the defense. For Michigan to have a big season, it’s top players will need to stay healthy and perform. 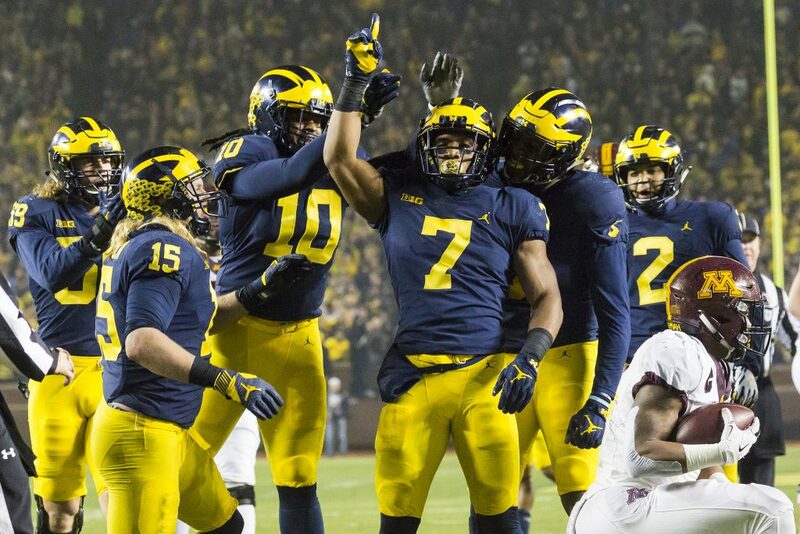 Who are your most important players for the Wolverines this season? Let us know in the comment section below!